Fresh fish is great on the Bar-b-que. 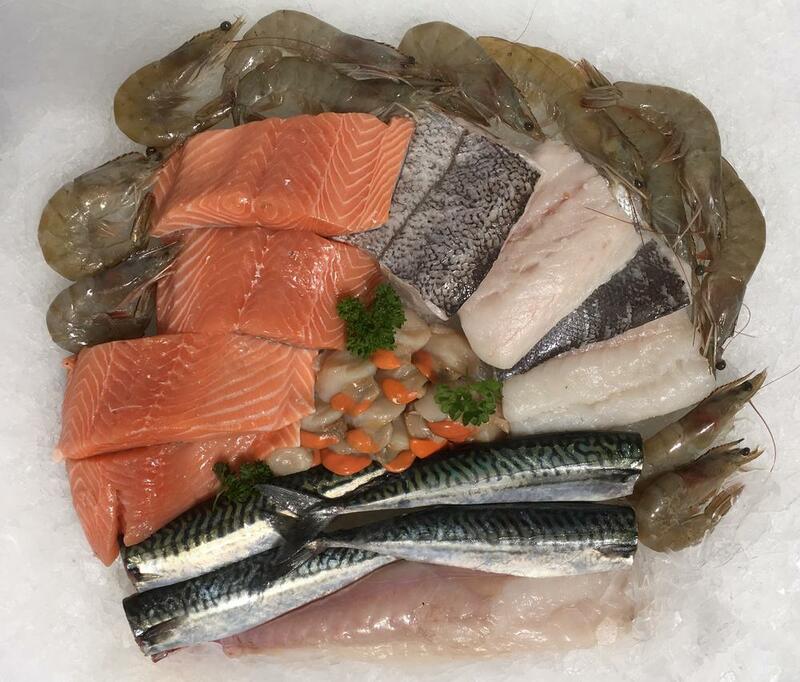 This box contains 38 pieces for fresh Cornish fish, Scottish salmon and shellfish. which can all be bar b que’d. A dozen large raw crevettes – straight on the bar b que ! 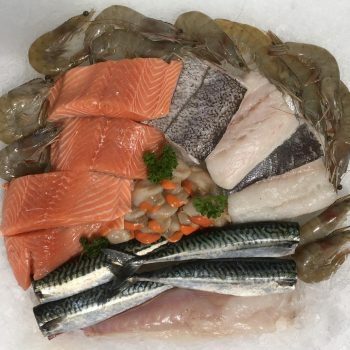 4 Large Scottish salmon fillets. Cook straight on the Bar b que or in tin foil as above. Approximately 25 – 30 portions!